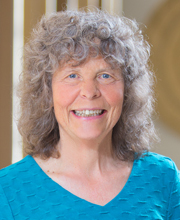 Cathy Wylie is a Chief Researcher at NZCER. She holds a PhD from Victoria University of Wellington. Her main research expertise is education policy and how it impacts on learning, teaching, school leadership and more equal learning opportunities. She led NZCER’s national school surveys from 1989 until recently. She has a leading role in the new research-based tool for schools focused on effective teaching and school practices, and school leadership: the Teaching and School Practices survey tool. Cathy’s 2012 book, Vital Connections, makes a cogent case for system change to strengthen all our schools and counter uneven educational opportunities. Her longitudinal study ‘Competent Learners’ provides important understanding about different trajectories of engagement and achievement in learning from early childhood education into early adulthood, and provides strong evidence of the importance of developing the national curriculum’s key competencies. Before joining NZCER in 1987, Cathy lectured in social anthropology at Victoria and Auckland universities. She undertook contract research with a range of government departments, and evaluated social welfare programmes and policy at the then Department of Social Welfare. In 2014 Cathy was made a Member of the New Zealand Order of Merit for services to education. She is a member of the Government’s Independent Taskforce to Review Tomorrow’s Schools, which published this report in December 2018.